If you are searching for a great base to explore Istanbul, Mayata Apart is the perfect spot. I´m not here to convince you about this, I’m here to share with you the amazing experience we had there. In our fourth trip to Istanbul we stayed at Mayata Apart for two months, I already consider it as my Turkish home. And during our fifth visit to Turkey we stayed there again, but this time in a different apartment. 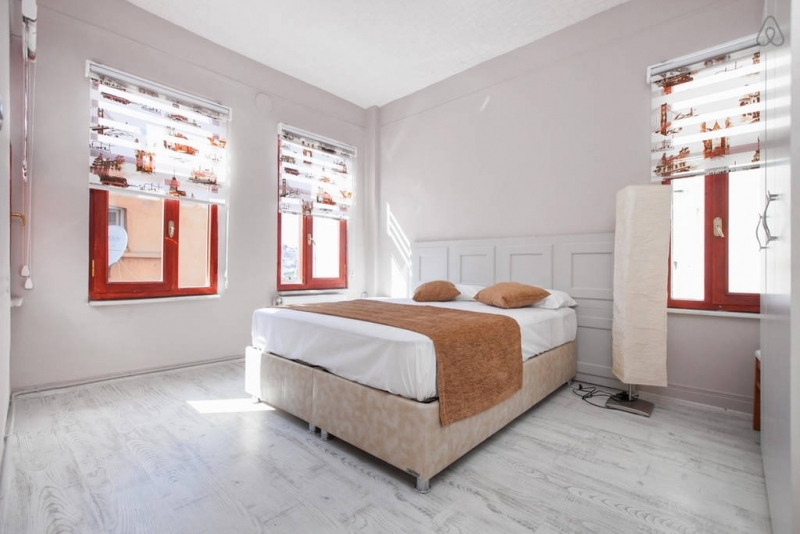 It´s a historical building in Beyoglu area that was complete renewed and transformed in self-catering apartments. A three-story building with 5 types of apartments all of them with private bathroom and fully equipped kitchen. The difference between them is space, and how the room is divided. On the ground floor are the small studios [two of them], on the first floor there is one bigger studio and the apartment we lived for two months, this one is stunning. Bedroom, kitchen, living room and bathroom, all you need to make yourself comfortable. Even a Turkish coffee machine they put there for us. Impeccable! On the third floor is the biggest apartment, almost like a house. We stayed there on our last trip to Istanbul and I didn’t want to leave! 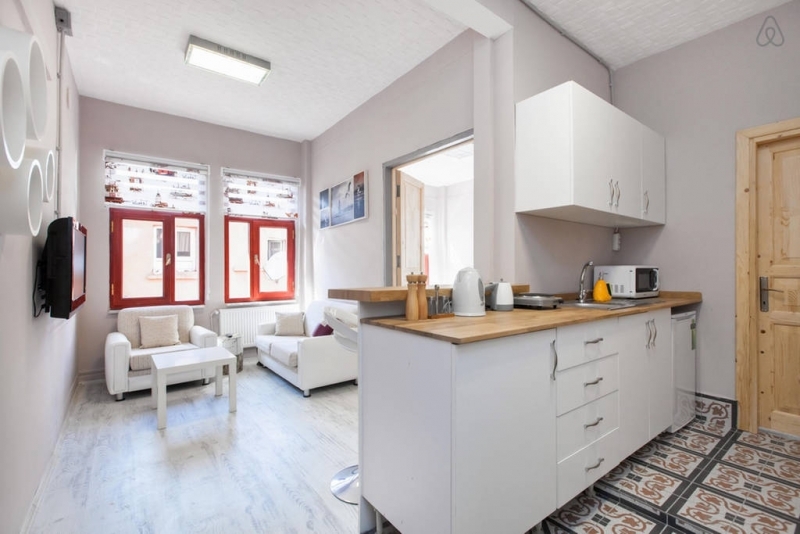 The Mayata Apart is located in the heart of Istanbul, in the Beyoglu area, 5 minutes walking from the metro station Sishane and 10 minutes walking to the Istiklal Avenue. Although it´s very central, the location is hidden from the busy streets and noisy traffic. The Taksim Square can be reached after a 20 minutes walk up Istiklal Av. Galata Bridge is 20 minutes away, where you can take the tram to Sultanahmet area. I have to warn you that the building is on the bottom of a hill, so prepare your legs for some up and down, but that is Istanbul, it’s damn hard to find a place in a flat area there. The Mayata Apart got me by the comfort that it offers. 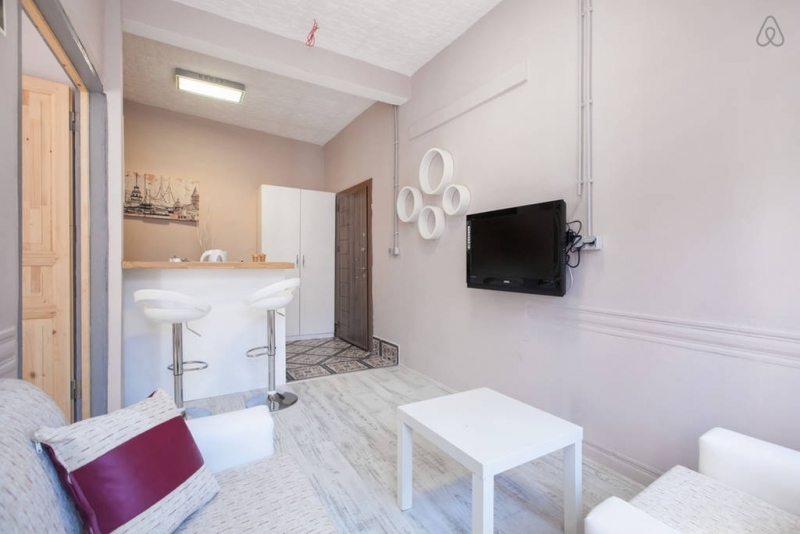 I have travelled a lot and I can say that rooms to rent in Istanbul are quite expensive and some of them are not clean, comfy and well equipped. Mayata Apart is brand new, what means super comfy beds and squeaky clean toilets. You have sofas, tables, fridge, sink, microwave, kettle and stove. What else you need for you holiday? The showers are great with plenty of hot water. We were there on beginning and end of winter, inside the rooms the heating was keeping us cozy and warm. When you arrive you get your own key for the front door and for the apartment so you be completely free to get in and out whenever you want. We found that Mayata Apart is really good deal! In the heart of Istanbul, a brand new and fully equipped apartment, with total privacy and for a good price. You won´t find this type of offer everywhere. We definitely loved our stay at Mayata Apart. Not only because of the location, the comfort or the value for money [although the last item is really important for us]. What we love the most about it is the local feeling you get from the neighborhood and also the attention we received from Göçke and Mert [the owners]. They do their best to make you feel like home, they are incredibly welcoming and helpful. We book the Mayata Apart through Airbnb website, and if you sign in here you get $20 usd off on your first booking. Sweet!! If you are planning a trip to Istanbul read the articles we wrote about where to go, tourist attractions and some insider tips. I´m sure we can help to make the most of your trip to this enchanting city! Was the Mayata Apart review useful for you? Are you planning a trip to Istanbul? Ps. Some of our nights at Mayata Apart were a courtesy. Doesn’t matter who paid the bill, you always get our honest opinion. Mayata Apart is definitely the perfect base to explore Istanbul, and as you said, it’s comfortable and beautiful designed.